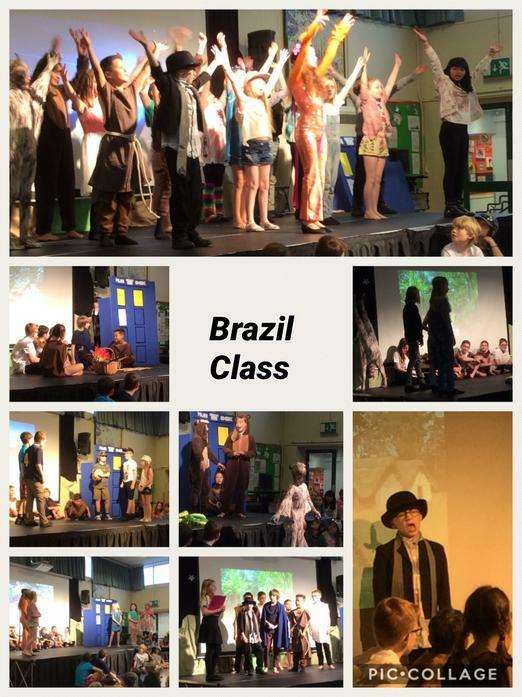 Today, Doctor Who landed in an Anglo-Saxon village and transported the villagers to modern day Brazil. They were treated to the rainforest, a beach, an art gallery and the Rio carnival on their travels. Year 5/6 came up with the assembly themes and helped to write their own script. They ended the assembly with a dance from The Greatest Showman. After the assembly, parents joined the children in their classroom to write messages using Runes.